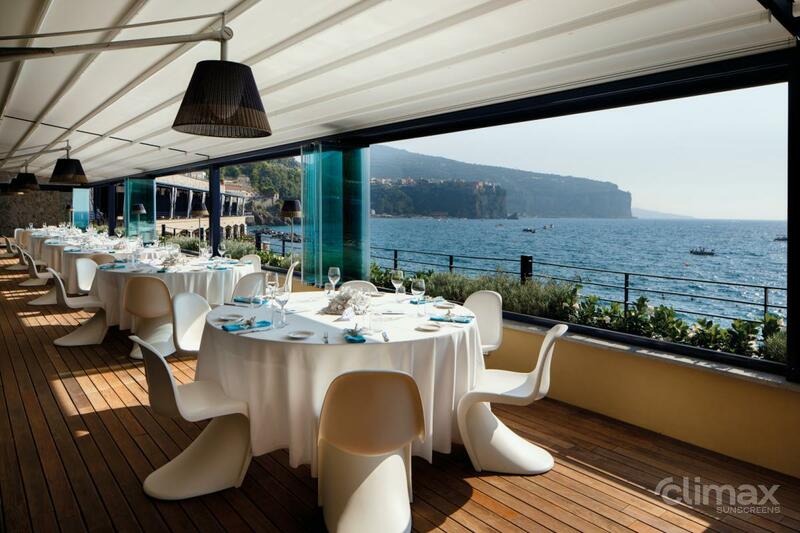 Pergolas, conservatory shading - MED ROOM PLANA - SERVIS CLIMAX, a.s.
MED ROOM PLANA is an impressive external pergola, which will protect you from the sun and rain. This shading has a waterproof cover. 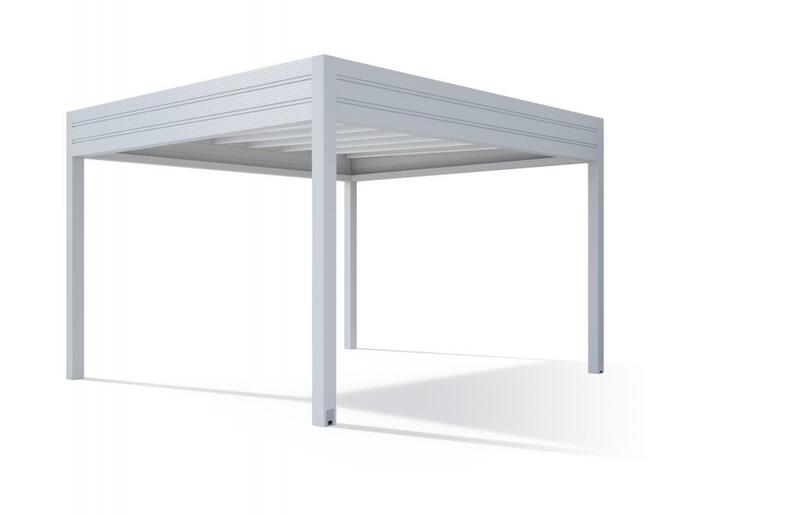 MED ROOM PLANA is designed as a free-standing pergola or with a support system in the front section. 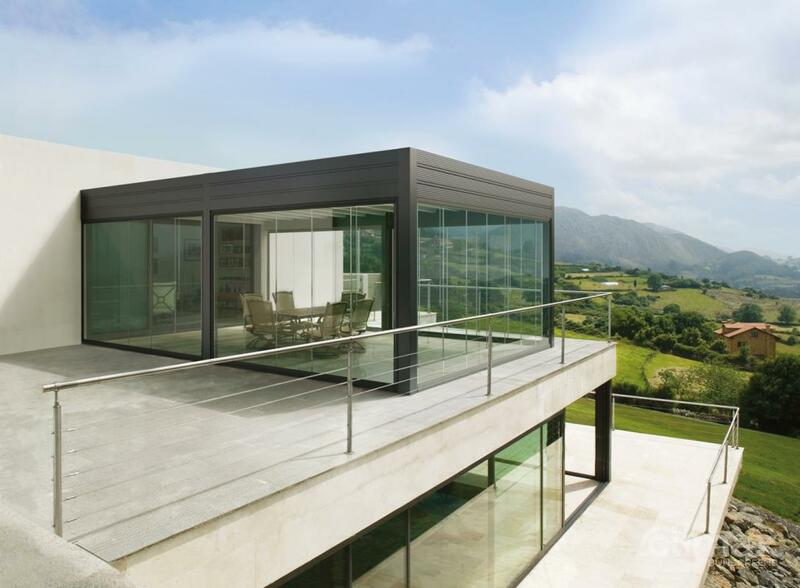 The structure consists of aluminium guide rails and perimeter profiles connected to vertical supports. 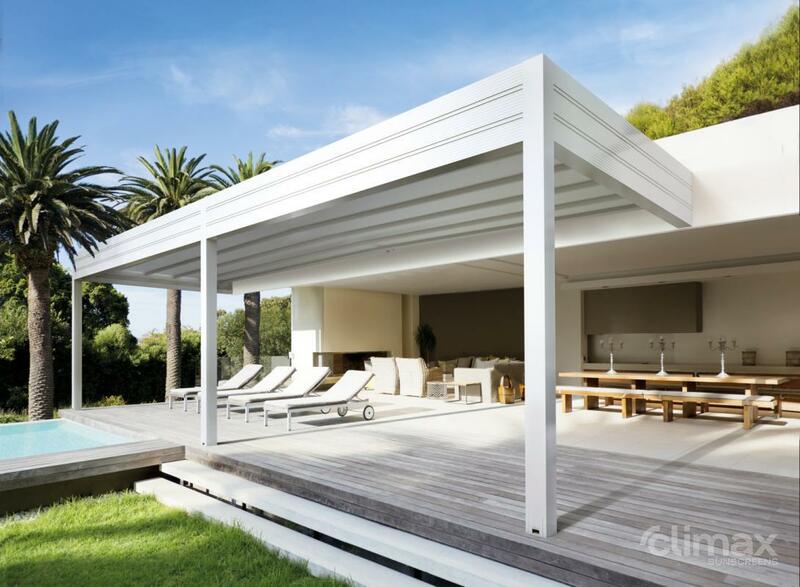 The perimeter support profile also works as a gutter, which collects water running down the fabric. Water from the gutter is drained through the supports. 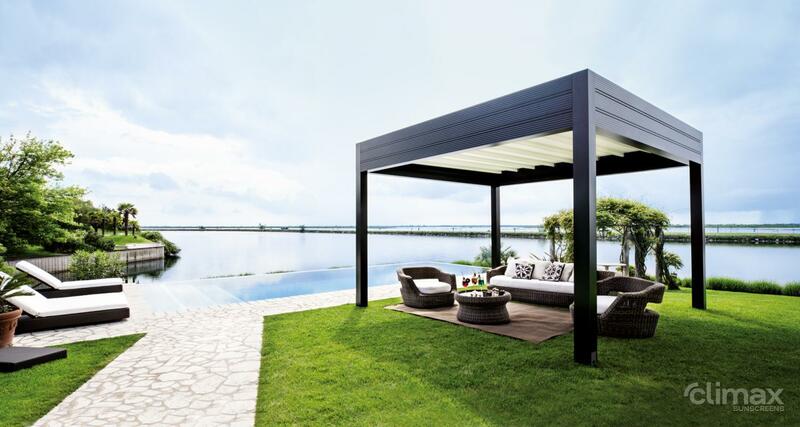 The price of this model does not include a covering roof.